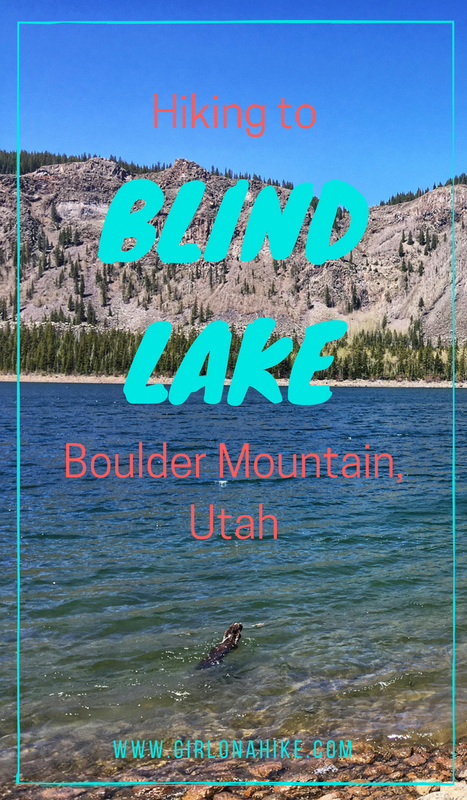 Blind Lake is located on Boulder Mountain in Utah - it is the deepest and biggest lake on the mountain at 52 acres and 52 feet deep. 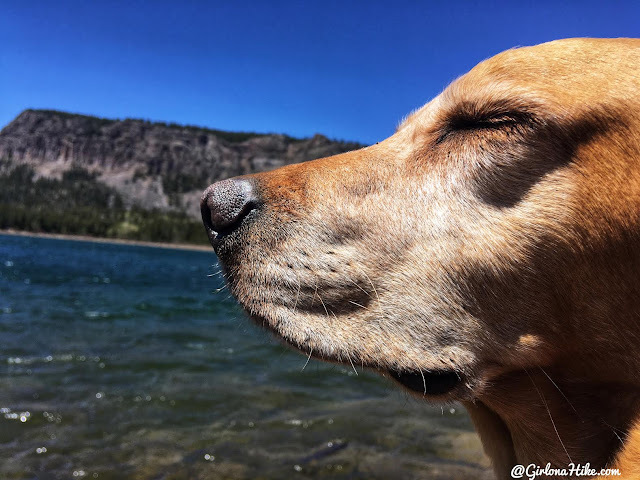 Most people come to the lake to fish for trout, but there the trail itself is great for dogs, kids, and families. It's only 1 mile to reach Blind Lake, but you can continue on to Pear & Fish Creek Lake, and the Beaver Dam Reservoir. If you hike to all lakes, the trail will be 6 miles RT. 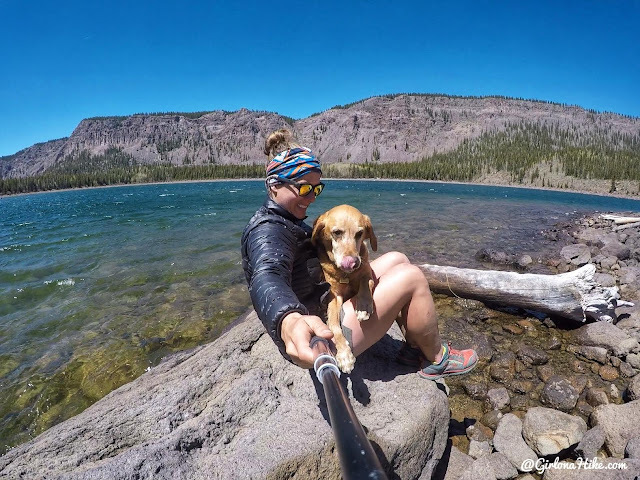 Our pup friend Bear was recovering from hiking the Behunin and Meeks Lake Trail, so I decided to just hang out at Blind Lakes, while my friends continued on. 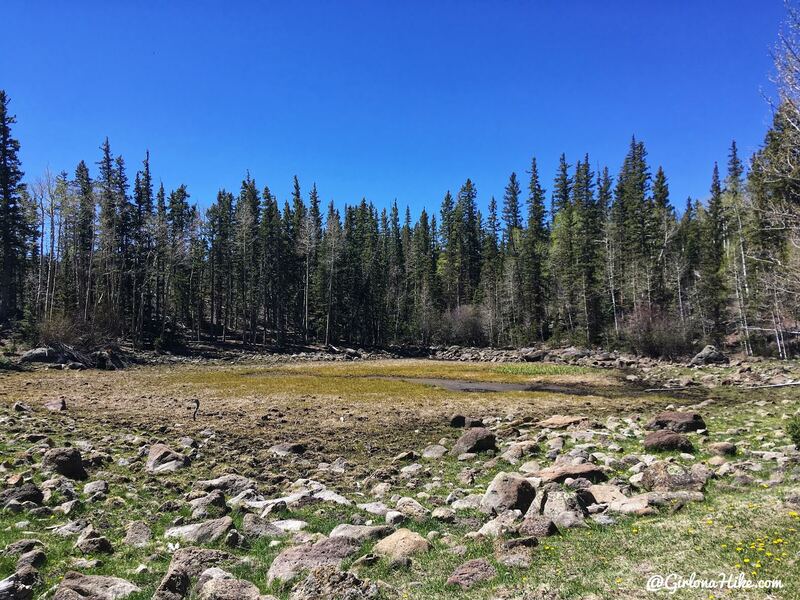 Boulder Mountain has about 60 high-elevation fishable lakes, including Deer Creek Lakes area. While may of the lakes are tiny or run as stocked fisheries, trophy-size trout are not uncommon here in Blind Lake. Drive south of Torrey, UT on HWY 12 for 5 miles. Turn right on N Slope Road, where there is a large brown sign for Blind Lake. Follow the signs for 8 miles until you reach the TH. 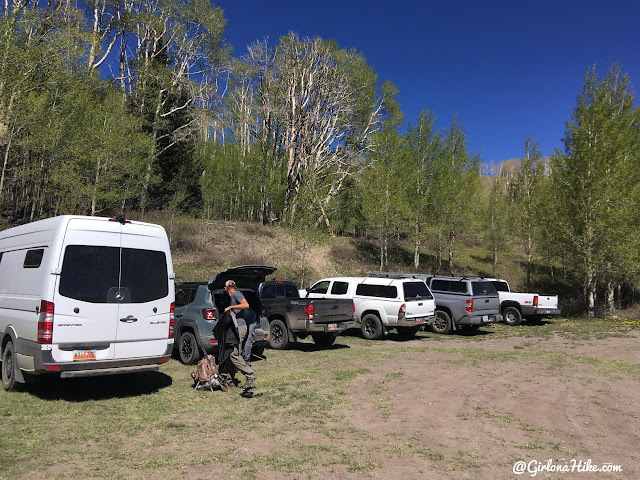 4x4 drive is recommended, however a mini SUV or larger should be fine. Small, passenger cars may not be able to make it. It depends on road conditions. The trail starts in the SW end of the parking area. 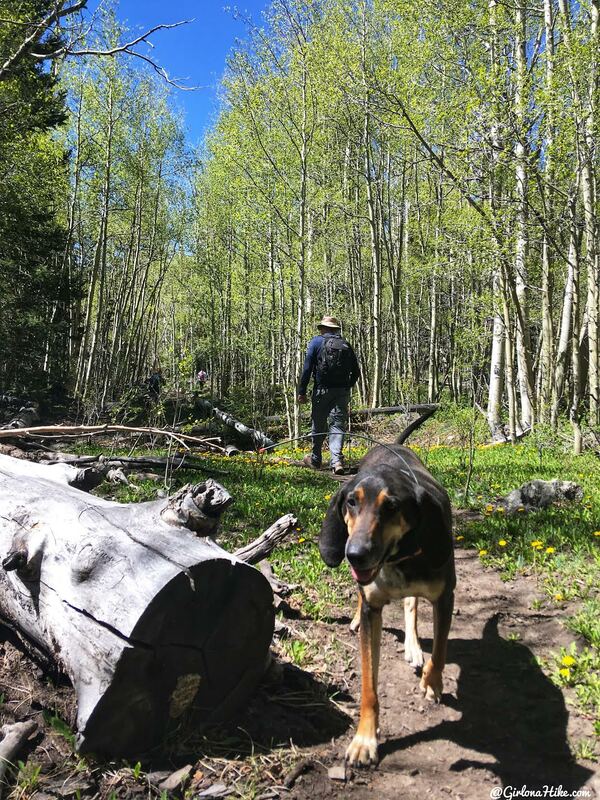 The trail is very well shaded from Aspens and Ponderosa trees. Copper checks back on us. Pass by a mucky meadow on your left. 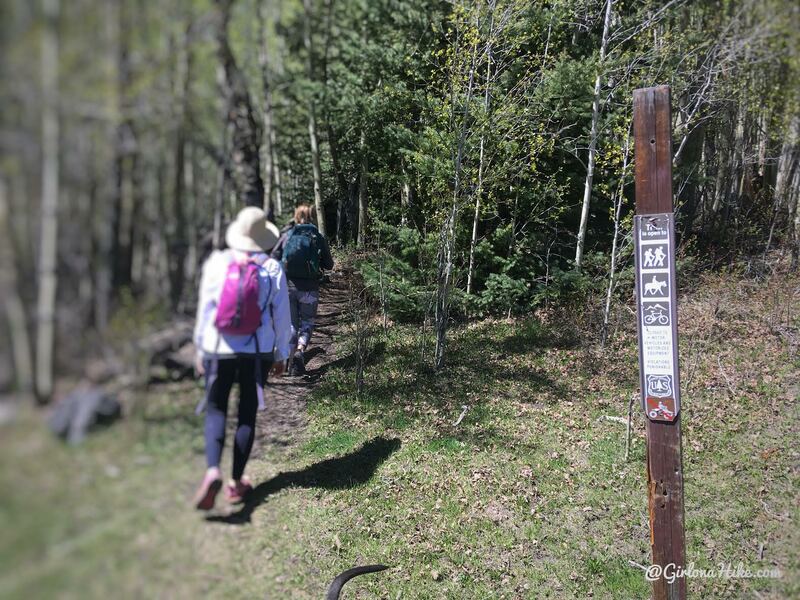 The trail is very easy to follow, and only gains 466 ft. But because you are hiking at an elevation of 10,000 ft it will feel harder. 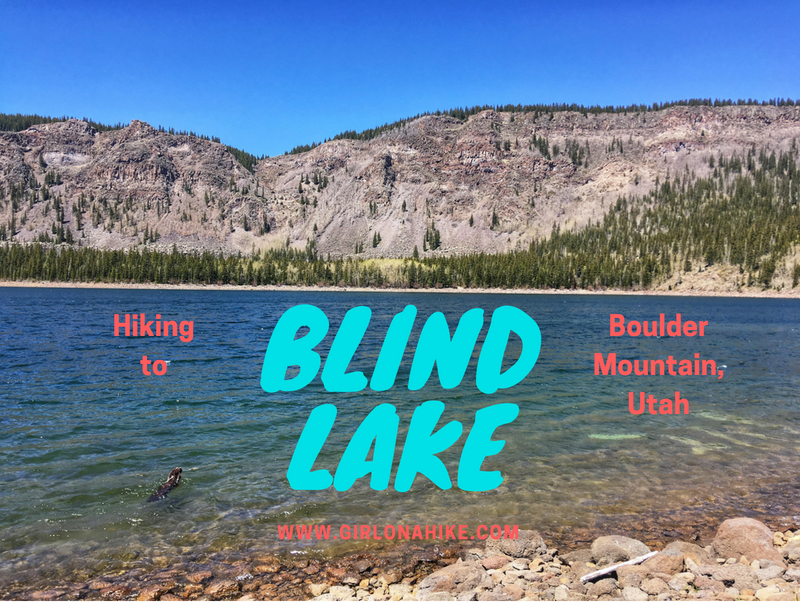 After 1 mile you will reach Blind Lake! Now its time to pick your favorite fishing spot. Be prepared for much cooler temperatures and high winds - even in summer you'll want to bring a light puffy coat or long sleeve shirt with you. Charlie soaks up the sun. Such a pretty lake! 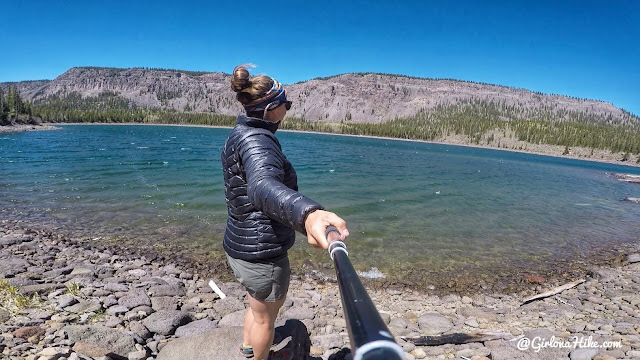 Blind Lake would make a great quick overnight backpack trip as well. We really enjoyed this lake - next time we will hike further to see the other lakes. 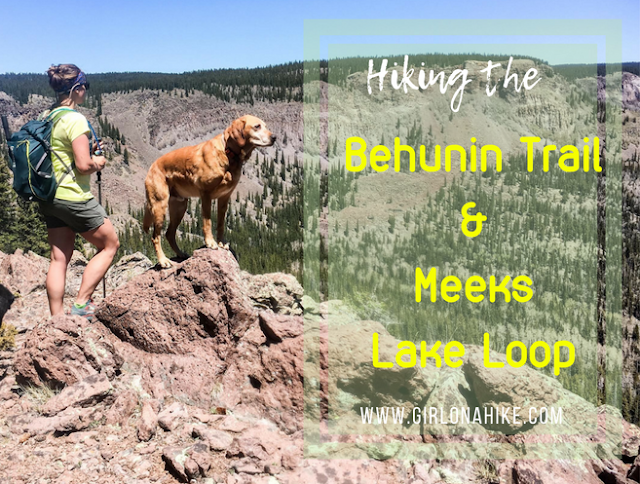 We also loved hiking to Deer Creek Lakes on Boulder Mountain! Looks a little like the Uintas. 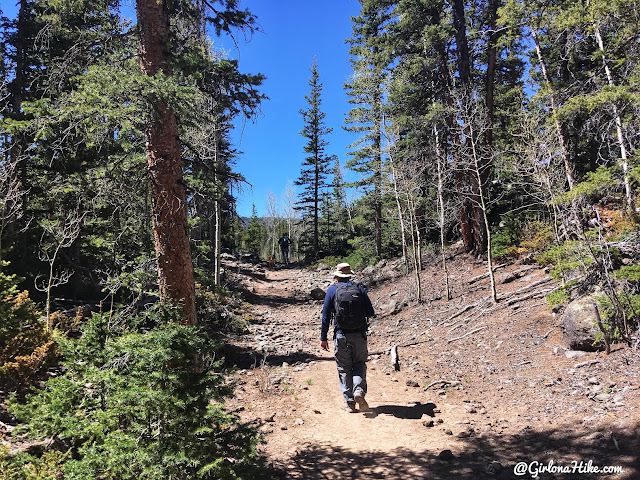 Thanks for posting these hikes from different parts of the state. We are often near Torrey and will be putting this on the list. Appreciate the web page. Please keep it up. I've done several of these hikes and since discovering your web page (maybe a year, or so, ago), I always view check it out prior to going (I make the journey there 4 or 5 times a year - the scenery & solitude is addicting). Blind Lake WILL be on the next trip. Thanks for the recommendation. Is this a good candidate for an overnight hike with the family? Something easy. Do people camp along the tail? 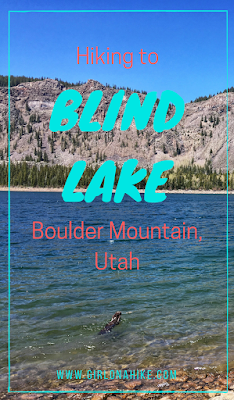 I was just researching Blind Lake and saw you commented. How exciting! We just arrived in Torrey yesterday. A friend recommended this hike. We have hiked all of the know and many unknown trails throughout this area over the years (I love it here). I was looking for something different. You mentioned hiking on to the other lakes. Is the trail obvious? Anything we should look for to find the continuing trail? I'll do some more research but thought you might be able to help since your group continued. Thanks! !